When creating a new report, you can select from a range of fonts in order to customise the report to your requirements. 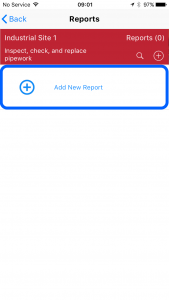 Scroll to the Report Customisation section. 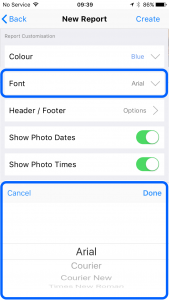 Click Font and select the required font from the list. TIP: The selected report customisations will be saved with the project therefore ensuring the same options are used (by default) for future reports. TIP: If you want all your projects to use the same report customisations, these can be configured in Settings -> Reports (Defaults). View the Setting Report Defaults article to learn more. TIP: All themes (whether purchased or not) can be previewed by clicking on their name. Furthermore, the theme preview will apply your chosen report options. View the Preview Themes article to learn more.